Three of the most important and inspiring words Jesus ever spoke are recorded for us in Mark 1:17 - 'Come, follow me'. 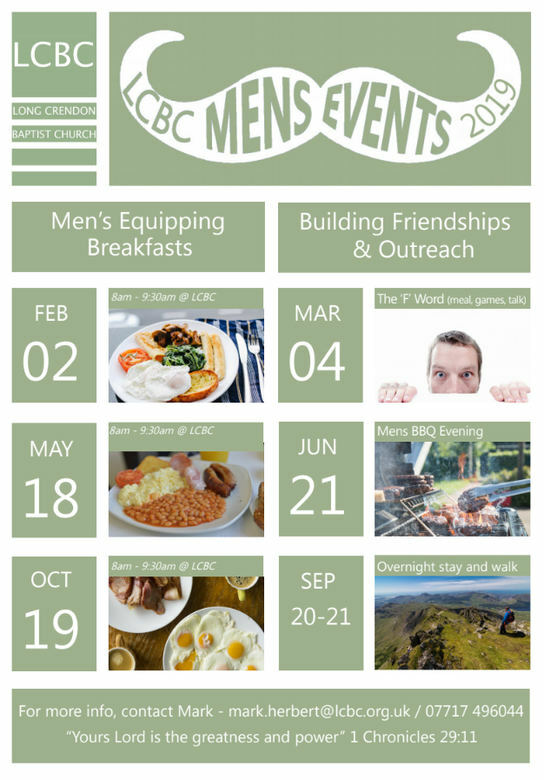 The aim of men's ministry at LCBC is to encourage each other to follow Jesus Christ more wholeheartedly and share the great news of the Gospel with men who do not know God for themselves. 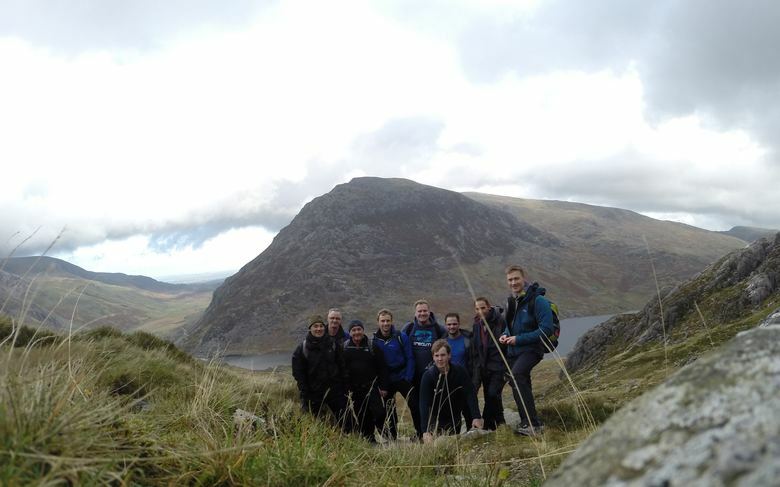 We aim to meet together regularly to encourage each other and pray for issues that are on our hearts and also organise a number of great social occasions to help build relationships. .
We aim to laugh together, build lasting friendships and provide an opportunity for people to find out a bit more about what it means to follow Jesus for themselves. Who let the Dads out?! 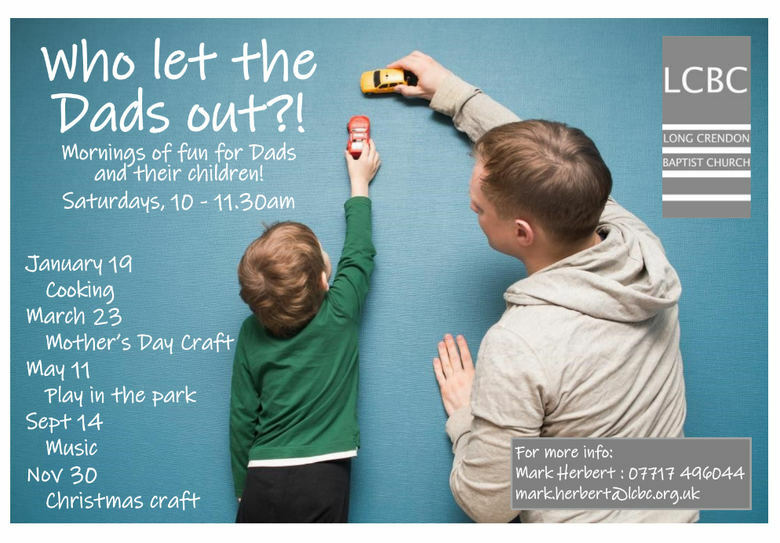 runs from 10 - 11.30 on several Saturdays a year, for Dads and their children. It is a great place to meet new people, have fun together and give Mum a morning off!